As soon as a gardener declares an area to be a garden and plants that first plant, it is time to start weeding and removing plants that are not part of the garden plan. This is because a garden is not made just by adding plants, though this is a major pleasure of gardening. A garden is also made by removing plants. 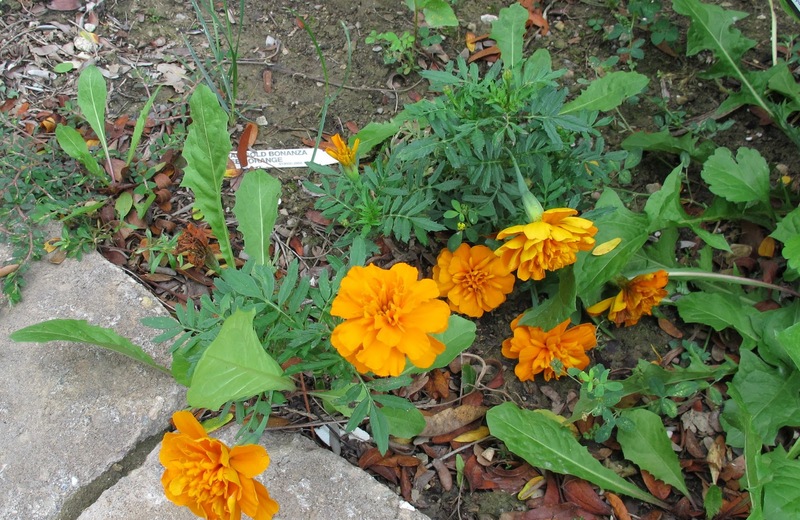 Are you familiar with the Hierarchy of Weeding and Plant Removal? On the next level of the hierarchy are weeds that could possibly be useful. While the gardener may pull them, the whole time they are doing so they are saying, “This plant may be useful”. Clover fixes nitrogen in the soil and the rabbits seem to prefer eating it instead of what’s in the garden. Should we really pull it? Purslane is supposed to be so nutritious. Should we eat some of it? Ditto dandelion greens. And violets, they are oh-so-pretty. In the end, most gardeners end up pulling most of these weeds but they think about it first. In the middle of this hierarchy is the removal of dead plants that were once purposely planted in the garden. Why are these so hard to weed out or remove if they are dead? Because first the gardener must be convinced they are truly dead. They look for signs of green shoots at the base. They scrape any stem with the least bit of bark to see if it is green underneath. After all, no gardener wants to purposely or even accidentally remove a plant that might still be alive and is a desirable plant to have in the garden. No one wants to throw such a plant in the compost bin and then find it growing there a few weeks later. Many gardeners struggle mightily with the next hierarchy of weeding – the removal of seedlings of plants they planted in the garden. All those black-eyed Susan seedlings? Maybe there is another place in the garden to transplant those to? Maybe another gardener might want them? They are plants! The original black-eyed Susan might have been purchased with real money. Now it is repaying the gardener with free plants. Free plants! They can be so difficult to remove. The final level of weeding and plant removal is the most difficult because it requires the gardener to go through some gut-wrenching soul searching to come to the realization that they may have actually planted a plant where it didn’t belong. Now it must be removed and it may not go easily. Even these plants fall into two categories. The first category, the easiest, is the “I can’t believe I really planted that” and relates to thugs like perennial sweet peas, variegated goutweed, evening primrose and other invasive plants. We were fooled into planting them. Seduced. Manipulated. Duped, even. When we remove them we have to finally admit to ourselves that we made a mistake and it is time to fix that mistake. And then we find out that the removal of the plant, which is now likely many plants, can take years, depending on how invasive or aggressive it is. The other category of this final level of weeding is removing a plant because we simply planted it in the wrong place. We didn’t give it enough room or enough shade or enough sun or enough of whatever it needed and now it must be removed. It may or may not be able to be replanted. That is not the point. We have to remove a good plant that we just didn’t put in the right place. We realize that regardless of whether it ends up in the compost bin or planted in a new location better suited for it, it must be removed. It often takes years of experience for a gardener to work through these hierarchies of weeding and plant removal and become adept at them. But those gardeners who do reach the top of the hierarchy of weeding and plant removal become the master of their gardens, or at least have as much control of their gardens as is given to them by the plants they are able to remove. Judge for yourself where you fall on the hierarchy of weeding and plant removal. Master all levels and you become the master of your garden. I can only truly claim to be the master of one and two. I still struggle with three, four, and five. Will I ever achieve mastery? Probably not, but I'll keep trying. That's what gardening is all about, isn't it? Well said, Carol. I just dug out a healthy and too large Viburnum 'Blue Muffin' that was too large for the spot, plus it never got berries, the whole reason for buying it. I guess that makes me master, or mistress of my domain. I cannot claim to being a master of my garden at all - I still have a lot to learn, however I can and do remove or replant things that are in the wrong place - this has been done on a number of occasions and yet the garden still doesn't look as I want it to. I think it's all experience really and as we move along we realise we're never happy. I've definitely been faced with ALL these situations in the past. I'm adept at one, and probably two. I tended to leave quite a bit of the most useful in the garden, and worked around it... though I found that dandelions were best to nip quickly in the bud... and we didn't have all the bunnies in California that you all have here. I'm quite good at #3, though I go thru the whole process of being sure that it's really, really dead before pulling it out. Yes, #4, so hard. So hard! I tried to free-cycle those, if I could, and shared them with friends & neighbors. My gardener friend that I looked up to, she was ruthless, though if it was a matter of waiting or doing, well... she was a doer! I was a waiter. I am NOT a master of #5 or #6. Some day, maybe, but my dear gardener friend is. This post reminds me that she is a true master gardener, and it's definitely reflected in the beauty of her gardens. I thought I was a good weeder, but now I'm not so sure. Of course sometimes I can't tell which clump of leaves is a weed - or maybe the self seeded forget-me-nots. To your marvelous list I would add weeding out end-of-season vegetable plants that are clearly and completely past their prime yet are alive and flowering and/or producing tiny, stunted fruits. Oh, the humanity. I have became the Master long ago, when I decided spiderworts just weren't doing it for me anymore, so I dug them all up & gave them away. I have continued down that path never looked back. At least for perennials. For trees and large shrubs, it's a bit of a struggle to muster the strength and enthusiasm to get them out, but I'm working on it. What a great and helpful post! You're absolutely right, but I have trouble geting rid of healthy plants in the wrong place. If I can move them somewhere else, fine, but throw them out? Just can't do it. Yet. Ha. I'm at the stage where even plants that belong are getting tossed. Something about fall makes me want to tear out everything so I can start all over next year! Goutweed, the 'g' word - the worst growing thing ever. It takes constant surveillance and yet still spreads. As for brown-eyed Susans, around here they come and go in different places every year. The Gardens are the thing in the house. The gardens makes the house more lavishing and makes the house environment good for health. The points are well out and appreciative.